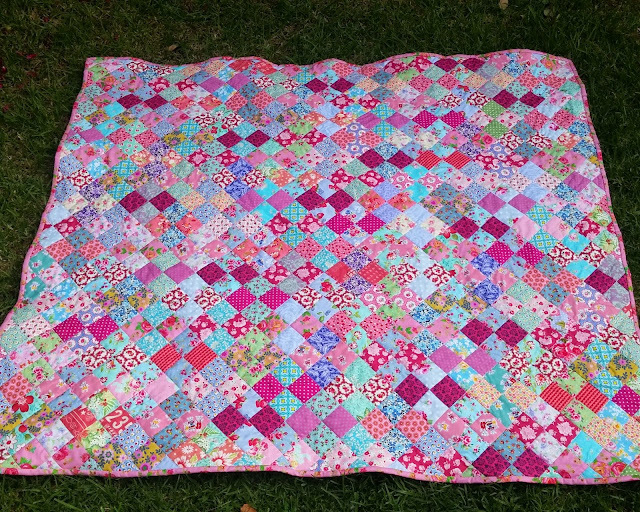 I used a fun Dear Stella print with clothes pegs for the backing and used a pink Moda rose print for the binding. 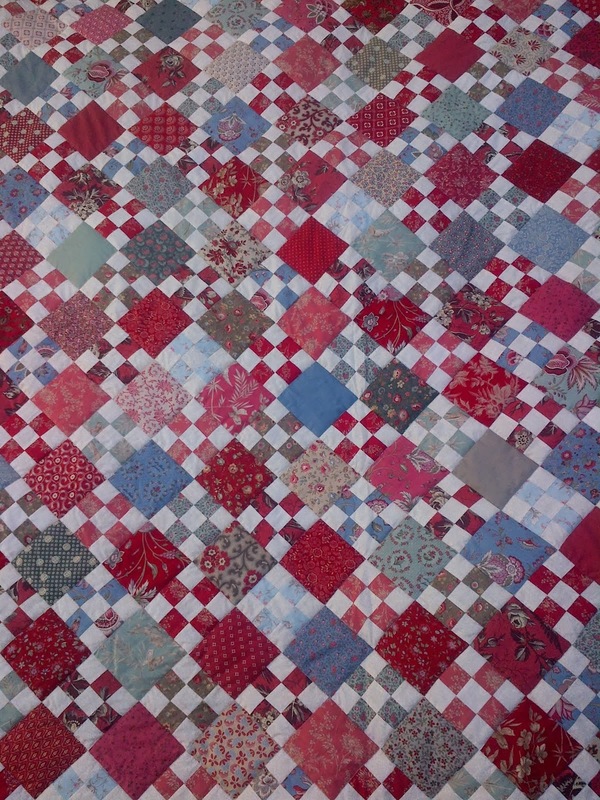 I stitched-in-the-ditch all the seams for the quilting. 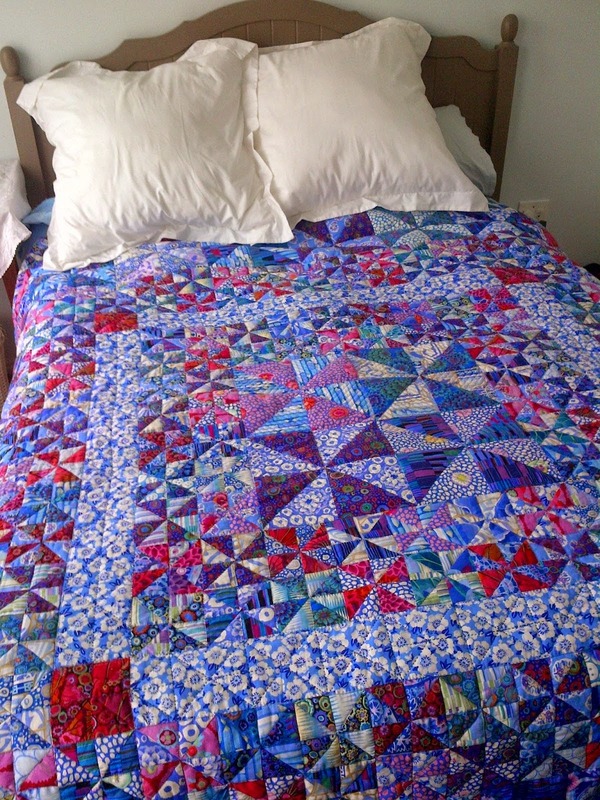 The finished quilt is around 52" x 48". Your Rose Tea Party turned out beautiful. Such lovely and feminin colours. And it seems Sweety-Bird likes it too. Perfect backing fabric. 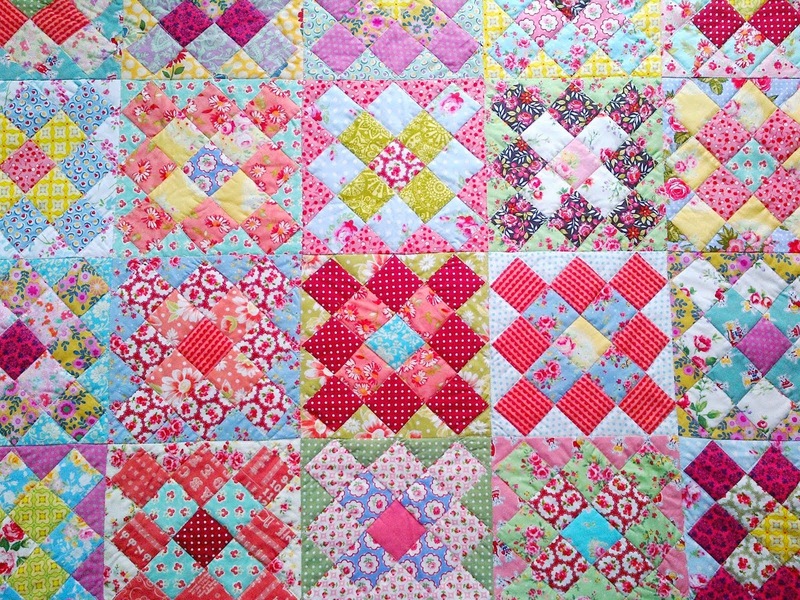 I love the wonderful variety of pinks in this quilt. Congratulations! It's wonderful. 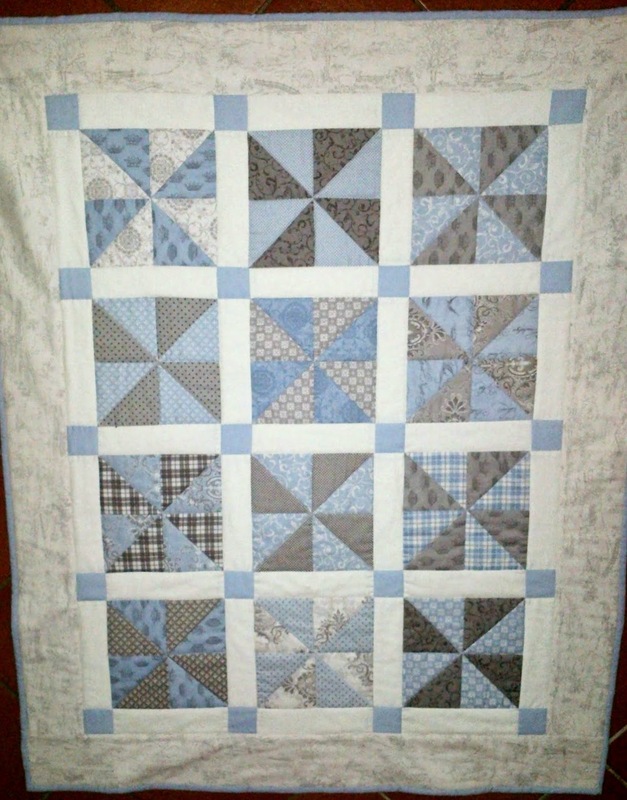 I'm always surprised at how much better a quilt top looks when it's quilted. Your little birdy sounds like a character! 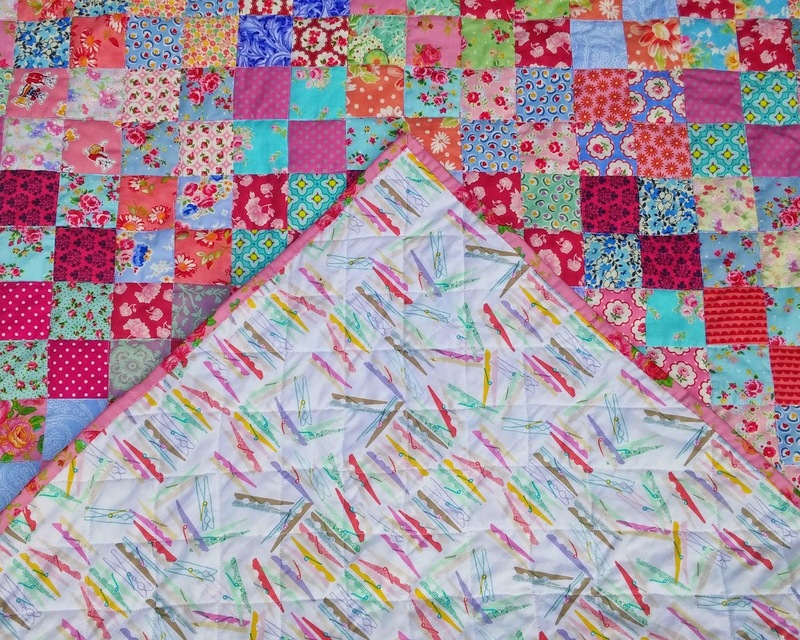 Congratulations on this beautiful finished quilt. Love it, saw the top already, it is a beauty. 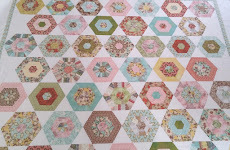 NIce backing too, lovely quilt. Your quilt is beautiful, enjoy!!! it's lovely! 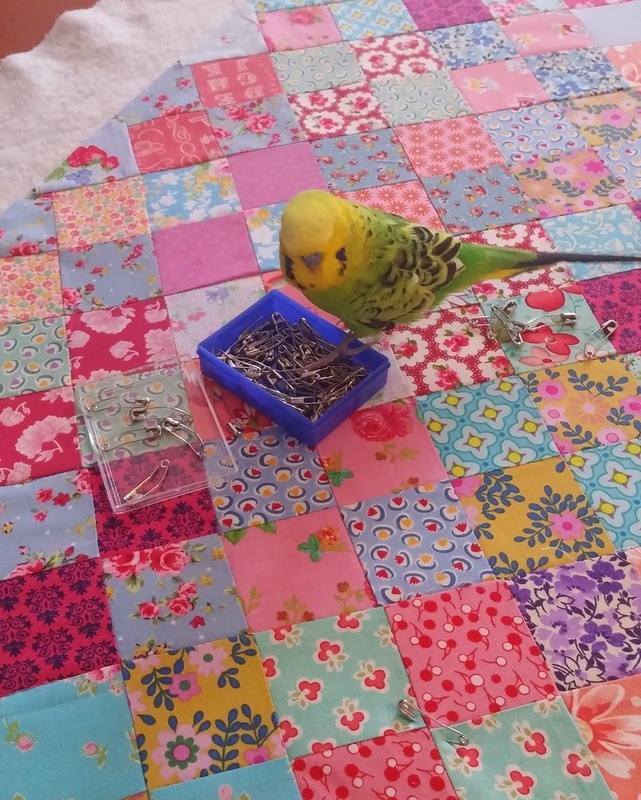 what a lot of work has gone into putting all those tiny squares together!